Our history, charm and competitive fees make the Presbyterian Cemetery the choice of many Lynchburg and surrounding area citizens. Trustees of the Presbyterian Cemetery serve a three year term and are representatives of two local churches and the community at large. 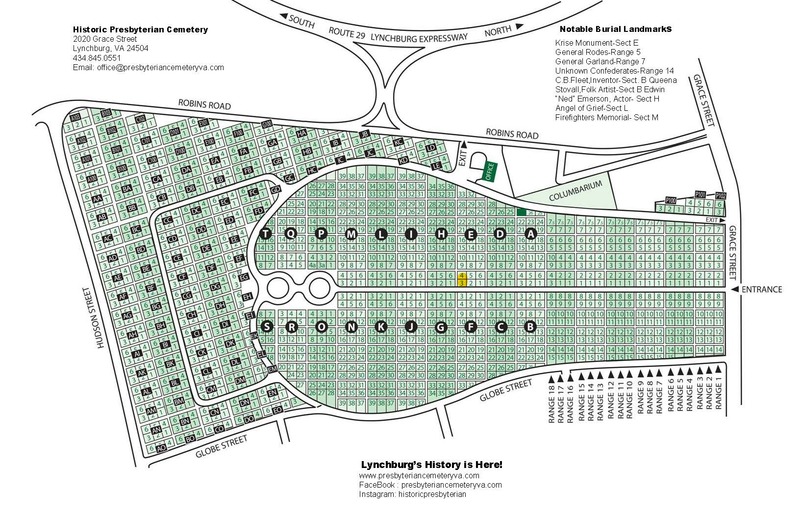 Friends of the Presbyterian Cemetery was established in 2014 as a non-profit 501c3 in order to support, preserve, and share the rich history of the Presbyterian Cemetery. The members serve on a rotating basis.